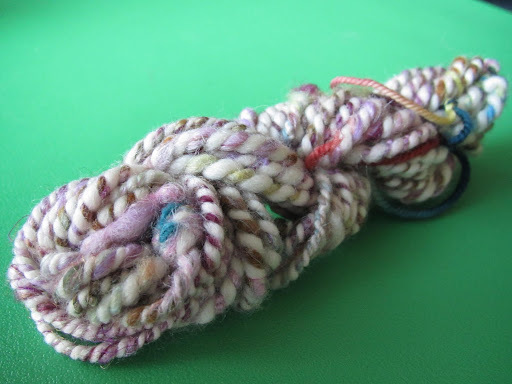 When my mom asks what I would like for my birthday, I should really know better than to send her a few fiber-selling etsy shop links and say “Anything from one of those would be great”, expecting maybe one or two braids or roving to hold me over for a little bit. 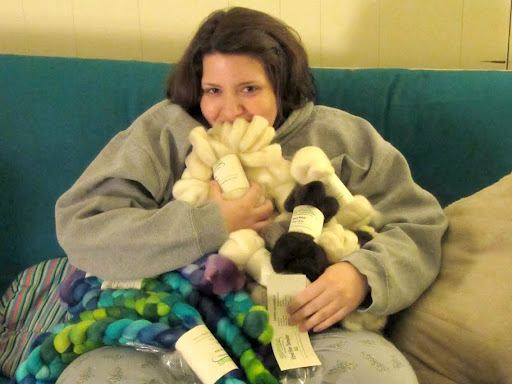 Snuggling with my new fiber acquisitions! I’ve been buried in a mountain of fiber! Pretty pretty pretty fiber! 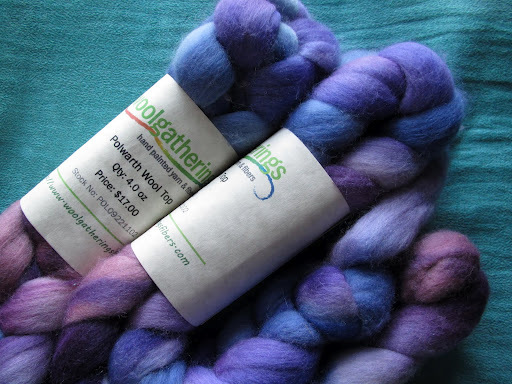 My mom went hog-wild in the Woolgatherings etsy shop. These should hold me over for quite a long time! And the one I’m probably most excited about, a sampler pack containing 1 oz. 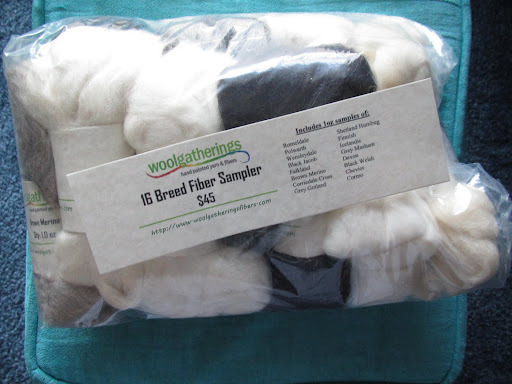 of wool from 16 different sheep breeds! 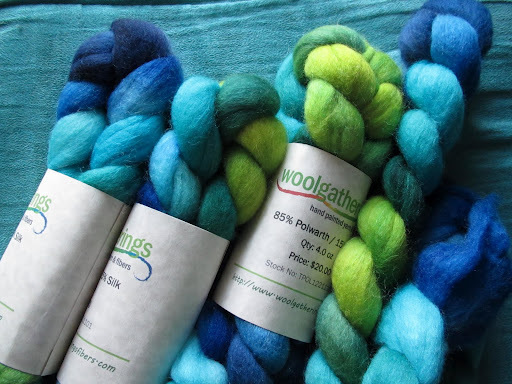 I’ve been reading through the fascinating and fabulous Fleece and Fiber Sourcebook and I can’t wait to try out all of these different kinds of wool. Particularly the Cormo, oh my goodness Cormo feels amazing. So thanks for thoroughly enabling my new hobby, Mom! This came out looking very much like I’d hoped it would. It’s not quite as soft as I would like it to be, so when I spin up the whole batch I will try to put less twist into the singles and make them less dense, but I would like to try to keep them fairly thick like this, so we’ll see how all that works out. Exciting!